The One Good Dog Garbage Pop Radio Hour | WAYO 104.3FM Rochester, NY | Way out, right here. One hour of catchy, loud pop & rock n' roll music from one good dog named Jacob. hi! today's episode of The One Good Dog Garbage Pop Radio Hour is here for you to enjoy. i was joined by Piper for some rousing movie talk, mild australian accents, and alternatives to self-care (you'll see). the playlist is also really good this week. good show all around y'all, thx for listening <3. gooood MORNING! during today's three-act show, you can hear me genuinely experiencing the entire range of human emotion. or, most of it. it was a lot of fun, and it was just...a lot, actually. but good! tune in! i'm also very happy w/ the playlist this week, so that's double good news. GOOD MORNING! it's beautiful out, and here is today's episode of The One Good Dog Garbage Pop Radio Hour. i woke up very late today, and your boy is profoundly scattered at the top of the ep, but if you keep listening, you'll hear me hitting my stride & talking about how there might be a GHOST IN THE STUDIO. there's your hook (and the music is great) - thanks for listening <3. HELLO! 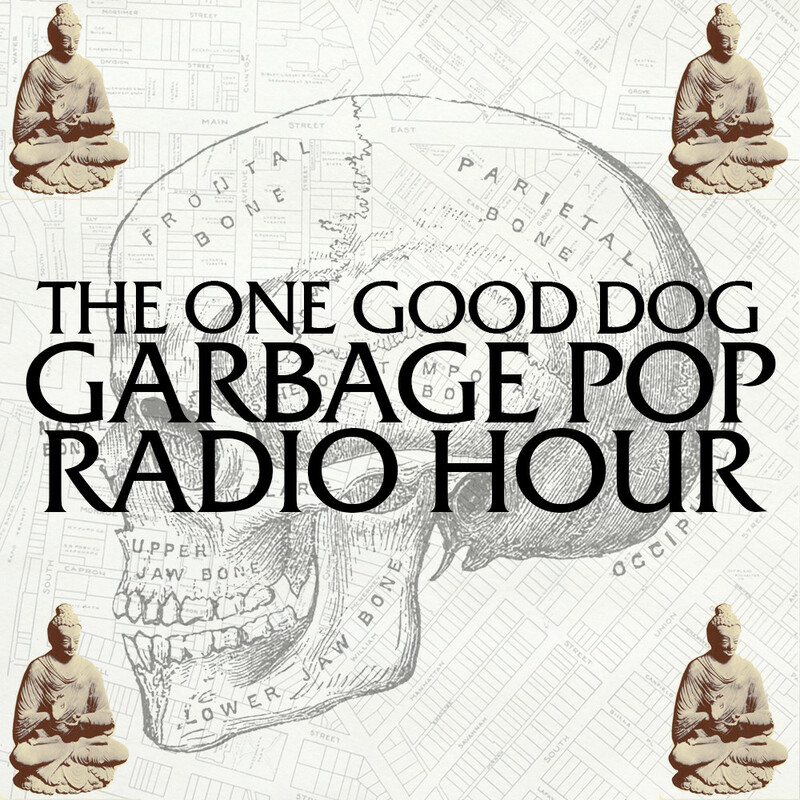 here's today's ep of The One Good Dog Garbage Pop Radio Hour. very happy to have been joined by Piper today, she's a delight. i have an insanely long day ahead of me and i'm sure you can HEAR the dread in my voice 8-) good music, good bunny-talk (you'll see), thanks for tuning in <3. OK! here's my SXSW edition of The One Good Dog Garbage Pop Radio Hour from yesterday. this was extremely fun to do, and listening to it just now really made me appreciate just how wonderful of a time i had down there. i recommend it. lots of talking but hey you like that right? yes i hope so. thanks for listening <3. good morning! today i was joined by Piper and we talked about scary dreams, crow bars, Alanis Morissette, and coined the term Big Jesse Energy (it's a very good thing). good songs as well - tune in, thx <3. today's ep of The One Good Dog Garbage Pop Radio Hour is here for ya now! bunch of good stuff in here, nothing crazy, just the hits. hope you enjoy. good MORNING! today's episode of The One Good Dog Garbage Pop Radio Hour is here for you now. i'm coming off of two very stacked days (self-imposed) so my brain is absolutely shot but it's that weird thing where i'm also super high energy so i hope u enjoy how scattered this show is. thanks for listening <3. good morning! today's episode of The One Good Dog Garbage Pop Radio Hour is here for you NOW! i talked a lot but i think you'll enjoy it? lots of fantastic music too. also, if you have any thoughts on the Roland 404, i'd love to hear them. thx <3. happy thursday! returning after a two week hiatus (food poisoning one week, without a car the other week) The One Good Dog Garbage Pop Radio Hour is BACK with one of my favorite playlists of all time and my favorite guest & co-host Piper. enjoy yesterday's ep - thanks <3.